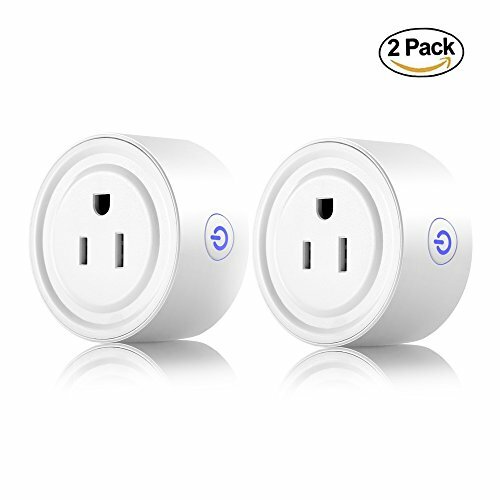 The smart sockets are compatible with Amazon Alexa Echo, 2 Pack for a full courage of home devices or as a replacement. Smart Plug connects to Internet through WiFi and controls the power of plug from the Smart Life APP on Smart Phone. Supports WiFi network & remote network connection through the router, support Smart configure net technology, easy to access settings, know the status of your sockets at all times. *Please make sure operating current within 10A or electrical power within 1200W. *Long press the button on the Mini Smart Socket if you want to reset it. *The smart plug WIFI name and password setting only support alphanumeric characters or underscores. *Please note that special characters are not supported.